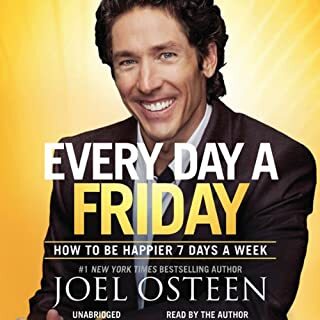 Based on the number one New York Times best seller Every Day a Friday, Daily Readings from Every Day a Friday is designed to help listeners see every day of the week as a gift from God, and to live each day with gratitude, good humor, and faith. This 90-day devotional incorporates excerpts from the original book emphasizing faith-building messages day to day; along with additional supportive and encouraging material in the form of key Bible verses, daily prayers, and daily thoughts. What did you love best about Daily Readings from Every Day a Friday? This book made me feel he was talking directly to me and about me! Very inspiring! 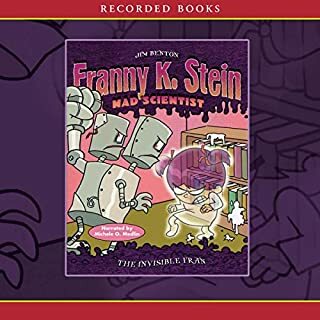 In this episode of Jim Benton’s New York Times best-selling series, the classmates of Franny K. Stein show no appreciation for her passion—mad science. Even when Franny displays her two-headed robot, they show little interest. But after Franny makes herself invisible and whispers robot-improving suggestions, a few kids believe they’ve actually become mad scientists and cause the robot to run amuck. Franny is at it again! Yes! Franny books are always entertaining ! Franny always has a way of creating funny problems but solves too! The little Franbots are cute and full of trouble! When Franny was tricking the Franbots! Franny told the Franbot#2 to kick the soccer ball as hard as she could and #2 Franbot did and her leg came all the way up and knocked her head off.